Experience the Leica perspective at Palm Springs Photo Festival through the Leica CL on May 6-11, 2018. Palm Springs Photo Festival offers a multitude of opportunities for professional, emerging professional & serious advanced amateur photographers. Activities include study sessions with legendary photographers, PSPF's portfolio review program, cutting-edge seminars, networking events, evening presentations, and more. Explore the stories of Africa Bureau Chief for VICE News Jackson Fager and documentary photographer Cira Crowell as they take you on a visual exploration across the globe through the lens of a Leica in a complimentary seminar. Both seminars are free. Registration is required. Click here for more info. Jackson Fager will share his journey as a photojournalist who has covered stories from the civil war in Central African Republic, oil crisis in Nigeria, Robert Mugabe’s resignation in Zimbabwe, and more. Witness these unforgettable moments captured by Fager through the lens of the rugged Leica SL, and discover how the evolution of photojournalism impacts your visual stories. Cira Crowell explores the connection of light and life as she treks through the mountains of Nepal with her Leica SL with the latest APO-Summicron-SL 75 f/2 ASPH. With a fascination on how light animates life, witness these remarkable moments captured by Crowell in this stunning black and white series. Find your own passion and creative perspective as you journey on this visual exploration with Cira. Discover our lineup of cameras and lenses in our Leica-on-Loan Program, and experience how Leica can fit into your workflow. A selection of Leica cameras and lenses will be available on loan on a first-come, first-served basis beginning at 8AM daily. This loan program is reserved exclusively for students at the Korakia. All gear must be returned at 5PM. Valid ID, credit card and SD card required. Share your work with Leica Gallery Los Angeles curator Paris Chong in an exclusive one-on-one portfolio review. Register here. Capture the beauty of golden hour with Cira Crowell in a sunset photowalk along downtown Palm Springs. Participants will have the opportunity to loan a Leica CL for this event. Loans are complimentary and offered on a first-come, first-served basis. A valid photo ID, credit card and SD card are required to participate. Join us for an exclusive book signing with Cira, and immerse yourself in a visual journey unlike any other in her two books, Beautiful Resilience: The Enduring Spirit of Upper Gorkha Nepal and 108 Visions: Ladakh During the Kalachakra, exclusively shot with a Leica camera. Both books will be available for purchase at the Hyatt Palm Springs during the dates and times listed below. Visit us in the Hyatt for a chance to win a Leica Sofort instant camera. Students may also submit their entries at the Korakia. Winner will be notified at the end of the festival. 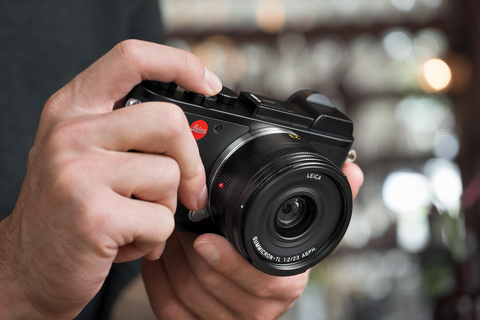 Learn the in's and out's of various Leica cameras and lenses with professional Leica Imaging Specialists. Select from the new Leica CL, SL, M10, Q and more. VII Photo Agency co-founder and multiple award winning photojournalist Gary Knight will host an exclusive workshop using both observed and constructed portraiture, and interview. During this workshop, photographers will photograph and interview people, the result being a comprehensive portrait giving that person’s story a fuller and more intensive examination than the photographic portrait alone. Attendees will have the opportunity to borrow a Leica camera and/or lens from their complimentary loan program at the Leica suite in the Korakia Pensione. Loans are offered on a first-come, first-served basis. A valid photo ID, credit card and SD card are required to participate. For more information on the program, click here.